Valentine's Day is just around the corner. What? I know, this year is already flying by. I like coming up with creative Valentine's ideas for kids. When I was younger, I remember each year there would always be a candy heart waiting for me when I got home from school. I love taking that tradition and going just a bit further with it to come up with fun and unique Valentine's gift basket ideas. 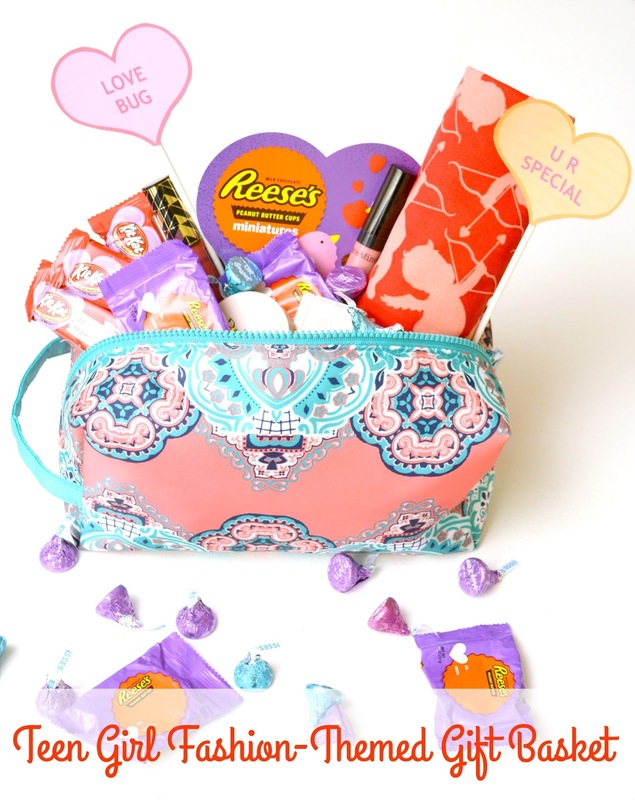 With the help of some incredible Hershey's Valentine's Candy, I decided it would be fun to come up with a gift basket idea for teen girls. Seeing as I have all boys, it is fun to branch out and get girly from time to time. Plus, my 15 year old knows a special someone who would just love to receive this gift basket from him, so it's a win/win. This Beauty and Fashion-themed Valentine's Gift Basket for girls is simple to throw together with classic Hershey Valentine's treats as well as all new favorites like the Hershey's Kisses Conversation Candies (available exclusively at Target,) and Reese's Conversation Cups. These unique new candies from Hershey allow you to send a special message along with a sweet treat to your little loved ones this year! I stopped by my local Target to stock up on Hershey Valentine's Day Treats, and then went with a few beauty/fashion staples. 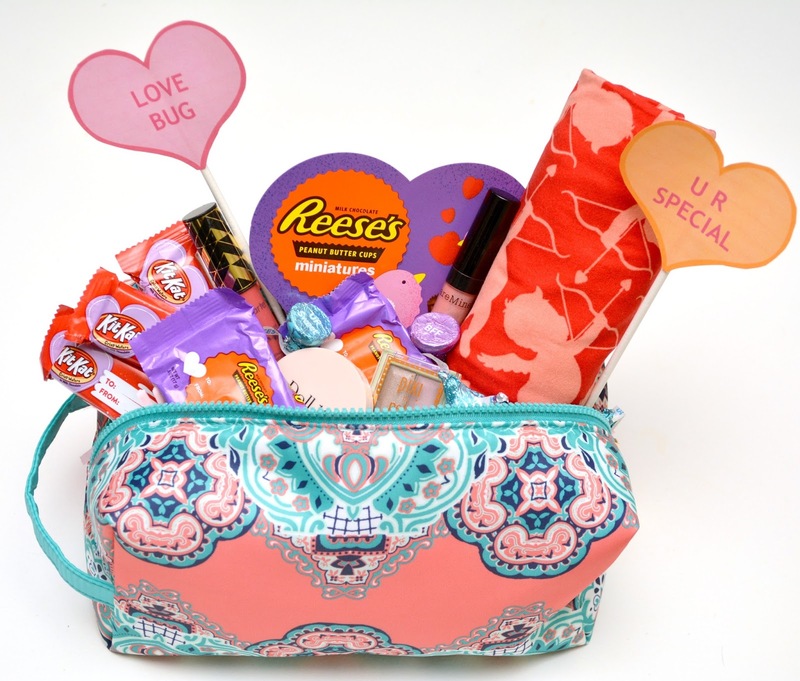 A simple yet pretty makeup bag or jewelry box provides the perfect base for a teen girl's Valentine's Day Gift Basket. 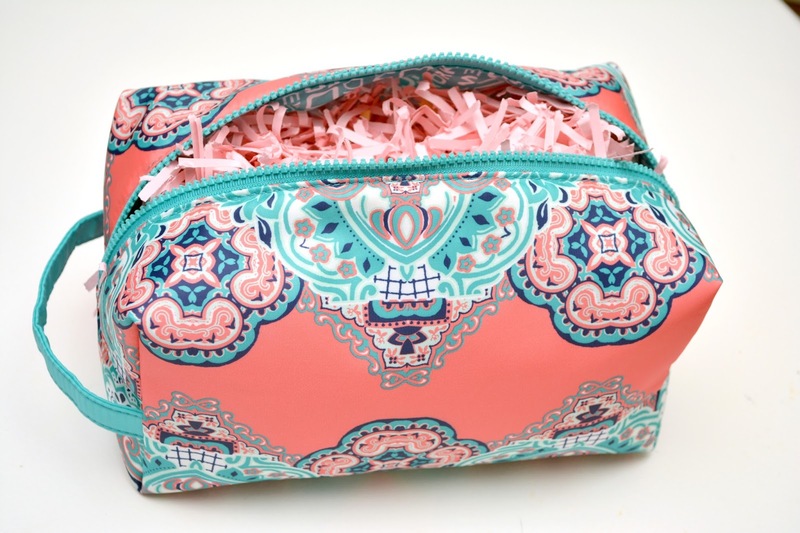 Load it up with plenty of pretty shredded paper some LuLaRoe buttery soft leggings, and some beauty essentials in an array of Valentine's Day colors. Next, and most important. Load your Fashion-themed gift basket down with plenty of Hershey Valentine's Day Candy favorites. 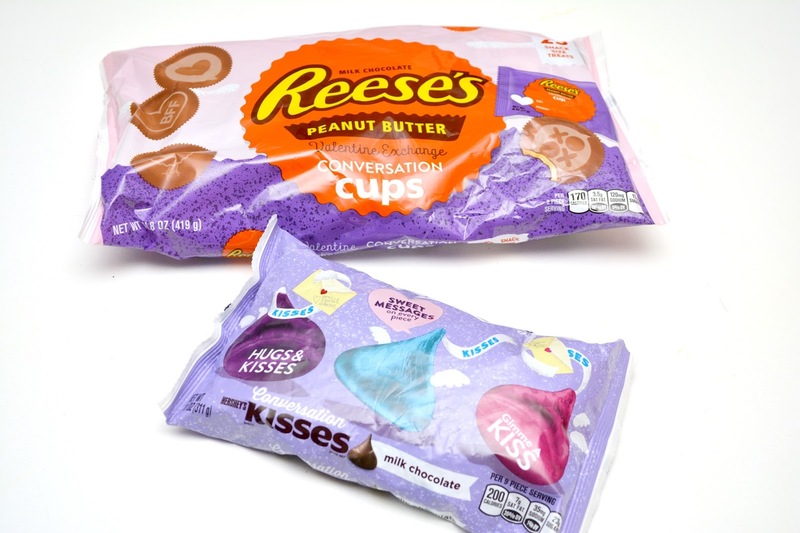 Spell out a special message using the Hershey's Kisses Conversation Candies and Reese's Conversation Cups for an added touch. These new treats make it so easy for kids to send a special message to their friends and family, since it is already printed right there on the packaging. 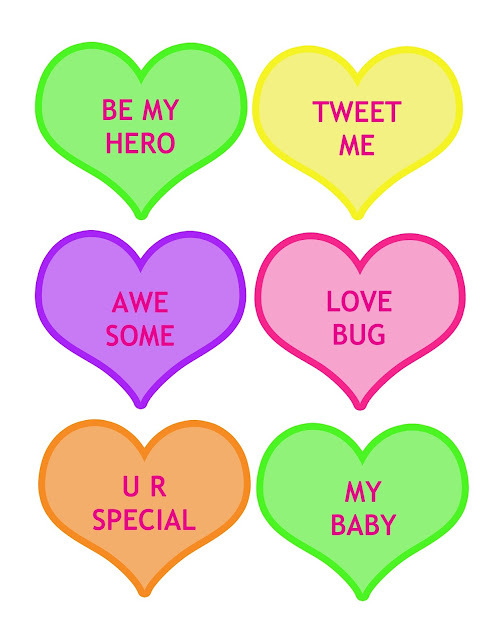 You can also add a little extra something to your Fashion and Beauty-themed Valentine's Basket with these fun printable conversation hearts. Grab your printable below, cut them out and attach to candy sticks to insert throughout the basket! Want even more unique Valentine's craft and recipe ideas for all ages? Visit CelebrateWithHersheys.com for tons of Valentine's fun! Share your own unique ideas on social media using the #HSYMessageOfLove hashtag!